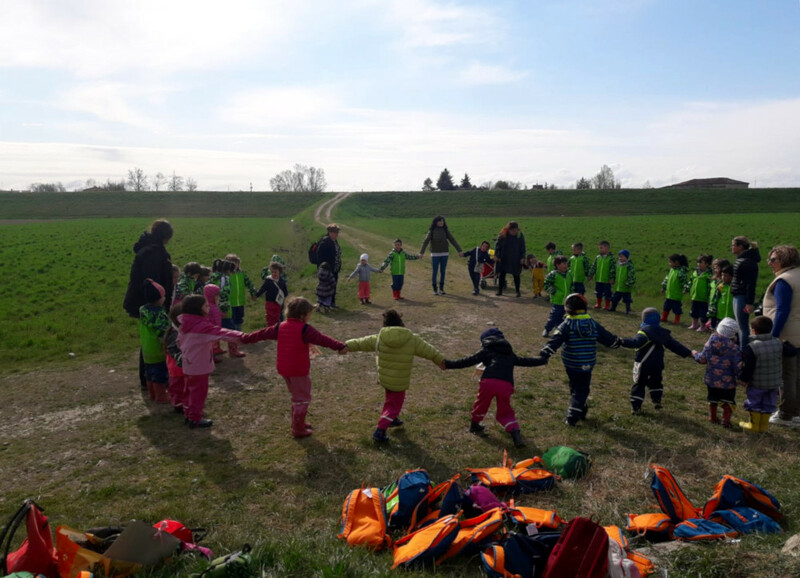 Last week, thanks to a natural closeness, both physical and ideal, between schools, children and teachers of the preschool Tana libera tutti of Mamiano (PR) visited the preschool Soliani-Scutellari of Brescello. The interest of both schools in open air experiences and in experimentation in nature allowed us to build friendships, discoveries and new learnings together. “Thank you very much for the precious opportunity. It was a precious day full of trust and discovery meetings. All the children in the school on their terms have given themselves new friendships. They explored a new place by trusting those who accompanied them. the final greetings have become hugs and see you soon.